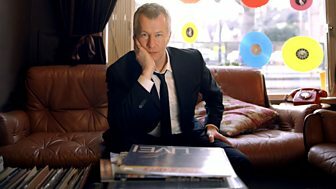 Edwyn Collins talks to John Wilson about Gorgeous George, his best known solo album. Natalie Merchant talks to John Wilson about her 1995 debut solo album Tigerlily. Robbie talks to John Wilson about his debut solo album, Life Thru A Lens. The legendary songwriter's interview with John Wilson is fascinating and very funny. Watch a filmed version of Paul McCartney speaking to John Wilson about his career. Watch and listen to exclusive live performances from the Mastertapes recordings. Re-releasing music documentaries from the Radio 4 Archive.